This week, Alex Lyon & Son Auction has their milestone event happening in Kissimmee, Florida! The 25th Anniversary Florida Sale kicked off on Saturday, February 3rd, and will be running all the way through Sunday, February 11th! 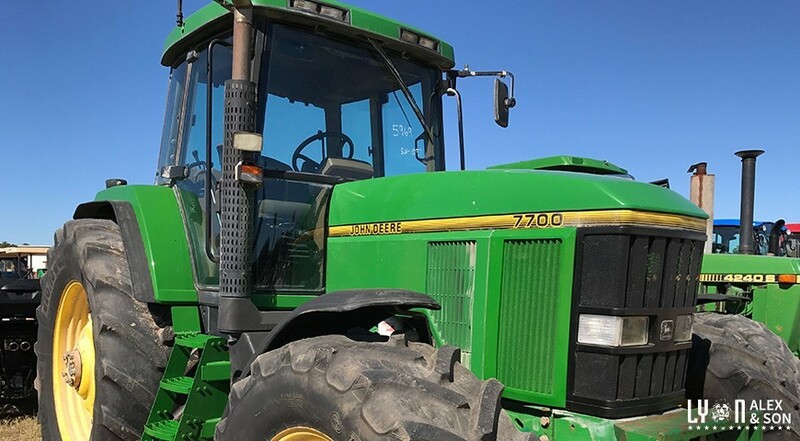 Lyon Auction will be auctioning off a wide variety of items including, but not limited to, construction equipment, aerials, forklifts, cranes, dump trucks, truck tractors, trailers, support, and attachments. Don’t miss out - we are midway through the auctions, but there’s still time to come join us for our BIGGEST auction of the year! Today at the auction, we are featuring two special race boats with a new cost of $2 million each! Don’t forget - at 4pm, in appreciation of our loyal customers and in honor of our 25th Anniversary, we will have a surprise and something special. Make sure you’re there as attendance is mandatory. Kissimmee is a city in Osceola County, Florida. This city has a variety of different activities, sites to see, and historic staples. There are a number of public parks, shopping, golfing, biking, and other things to do outside in the warm Florida weather. Many people enjoy going to Walt Disney World, SeaWorld, Universal Studios, Busch Gardens, Legoland, and Gatorland. In addition, The Holy Land Experience is another place to visit. It is a biblical history museum with live shows and many interesting facts to learn. The Museum of Military History will verse you in the American military experience through interactive exhibits. If you are looking to relax in Kissimmee, there are a number of spas and golf courses as well. The dining scene in Kissimmee is another showstopping feature of the city. Ranging from authentic Dominican all the way to Middle Eastern cuisine, this city offers everything you can imagine in the food realm. Savion’s Place, Woodsby’s Cafe, Chef John’s Place, German’s Restaurant & Bierhouse, and Moor are all restaurants you can find in Kissimmee, Florida. So, if you’d like to take advantage of thrilling theme parks, world class shopping, and experience some real Florida charm, Kissimmee is the perfect destination for you.